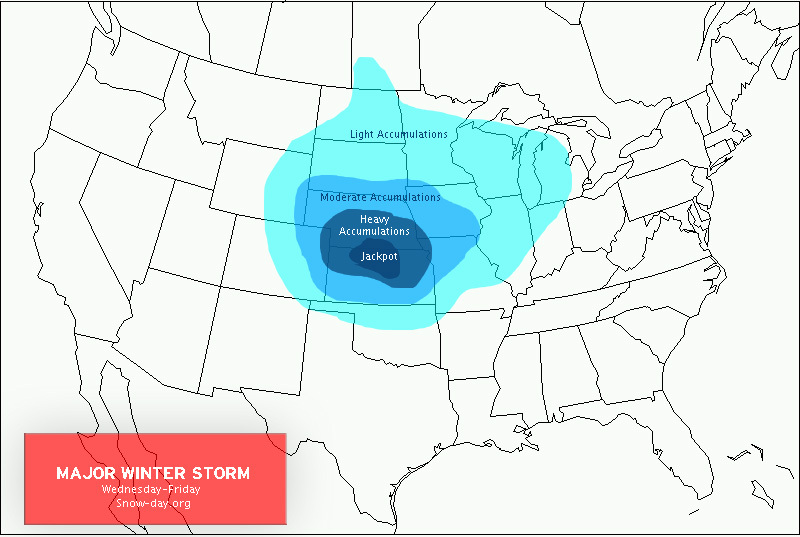 Has a large area of 12 inches of snow across Nebraska and Kansas with 12-14 inches across North Central Kansas. This seems to be the overall rule with all models. The NAM is more expansive with the snow totals and even has the 12+ extending into eastern Nebraska and western Iowa. One thing we know for sure the NAM and GFS agree that the heaviest will fall in north central Kansas and south central Nebraska. My accumulation map will be updated tomorrow night just ahead of the storm! Stay tuned!